What is this thing we’re searching for, when we shop pointlessly? What are we hoping to achieve, when we binge-eat, or binge-buy, or wallow in alcohol or drugs? The feelings I got inside when my eating spiraled out of control last year were almost exactly the same as the feelings I get when I buy stuff for no reason. It’s almost like I hope, even though I know it won’t work, that eating – or buying – will make my life better and stop me feeling so lonely and afraid. And it does make the pain go away, for a little while, simply because I’m focused on the act of buying, or eating, or whatever. But then, when I stop, the pain is there. It was there all along of course. All I did was distract myself. Binge-buying, like all forms of self-harm, is just a temporary shot in the arm of painkiller. It doesn’t solve anything. We know this, but we do it anyway. Is any of this familiar to you? Because it’s all too familiar for me. I’m a minimalist, but a struggling one. I’m a work in progress, nowhere near the perfection I read about elsewhere. We’re stuck, because we’re empty inside. And we’re filling that emptiness with all the wrong things. Just like junk food won’t make us healthy, junk behaviours poison our souls. And just like junk food, the habit is hard to quit. Mother Teresa famously said, Find your Calcutta. in other words, life is nothing without purpose. If life feels empty, that’s because it is empty. Although owning lovely things and earning lots of money can give pleasure, they’re not a purpose that can give us real, deep satisfaction. 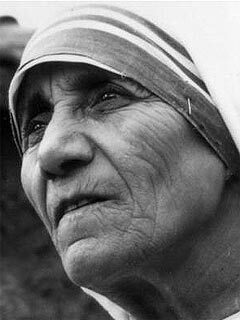 I don’t believe we all need to become the next Mother Theresa, but I do think that finding deep meaning to our lives by helping others, being meaningful people with valuable goals, and being people of strong ethics, are all ways in which we can find our own, personal Calcutta. And everyone’s Calcutta is different. In my life, I run a community group that has grown and blossomed under my Leadership. I don’t get paid for the work I do, and sometimes the work is hard, but for me it is part of my Calcutta. It gives me real satisfaction. Part of my work in the community group is keeping young women safe from predators. That, for me, is a worthy, valuable goal. I feel like my life is worthwhile, because I am helping to make life better for so many others. I also find satisfaction in my art – my writing and my music. Both give joy to me, the creator, and to those who enjoy the final product. Creative work can be another type of Calcutta. It doesn’t matter what type of creative work it is, just as long as you yourself find meaning in it. Finally, I find satisfaction in my family and relationships. I have people I care about deeply, and who care for me. I know that I matter, and that means a lot to me: it gives me solid ground on which to stand. When I find that I’m getting off track with minimalism, I stop and take a breather and look at my life. I almost always find that I’ve let my Calcutta slip. I’ve stopped nurturing my soul, and the emptiness inside has grown as a result. Life is hard. We’re not meant to travel this road by ourselves, without support. When life gets too hard, look to your Calcutta. 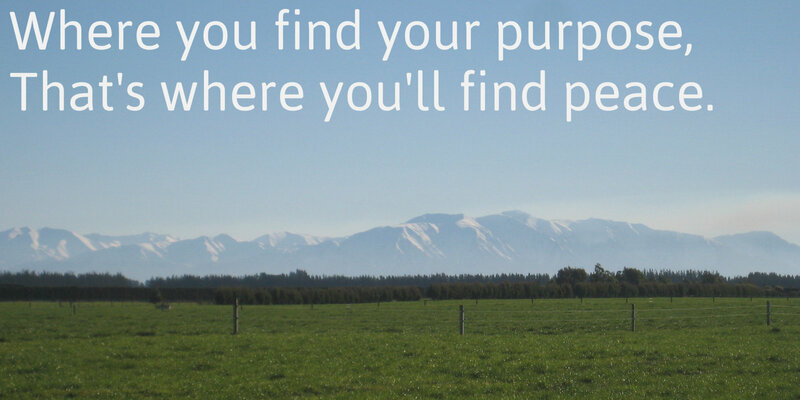 Where you find your purpose, that’s where you’ll find peace.